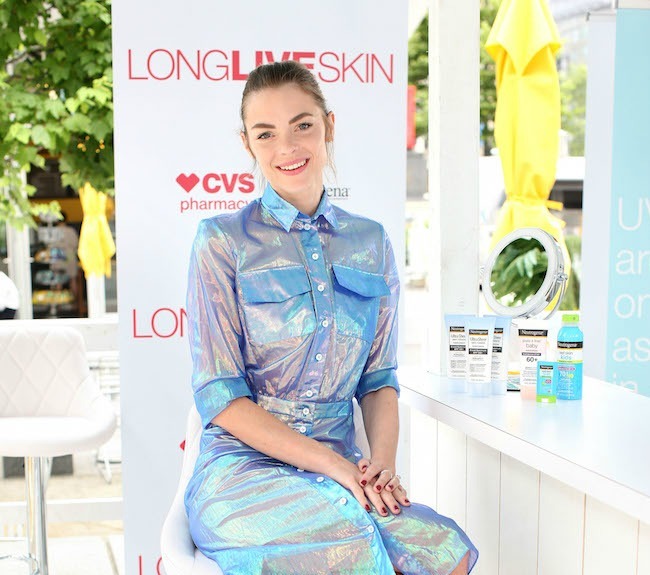 For NEUTROGENA® Event Ambassador Jaime King, sun protection is a family affair. She is passionate about raising awareness on the importance of wearing daily SPF, as well as protecting children from the dangers of the sun at a young age. Jaime learned about the importance of wearing sunscreen at an early age, and credits her mom with making her wear sunscreen at an early age. Skin cancer runs in her family, and even though skin cancer is one of the most preventable cancers, only 37% women and 16% men use sunscreen regularly. 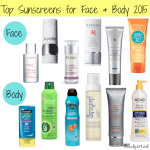 I can definitely relate–like Jaime, my dad had skin cancer and I never, ever saw him apply a sunscreen. It’s probably one of the reasons I’m such an advocate for wearing sunscreen daily; it’s one of the easiest ways to help prevent skin cancer. 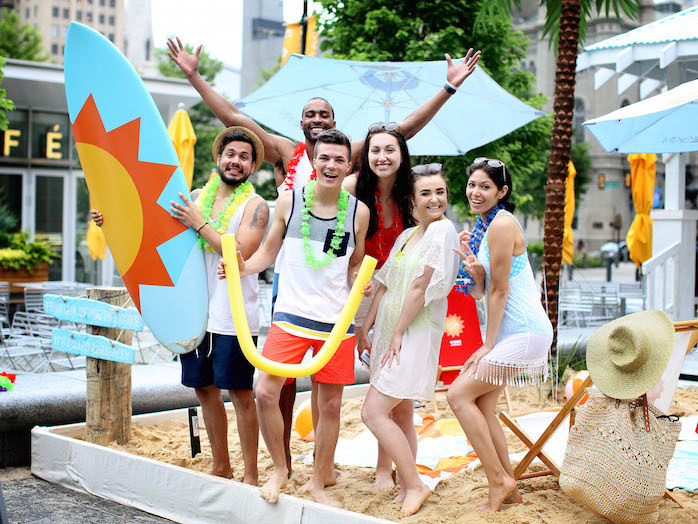 Jaime appeared at the Long Live Skin event yesterday in Philadelphia and while she was there, she shared her favorite sunscreens and a few tips. 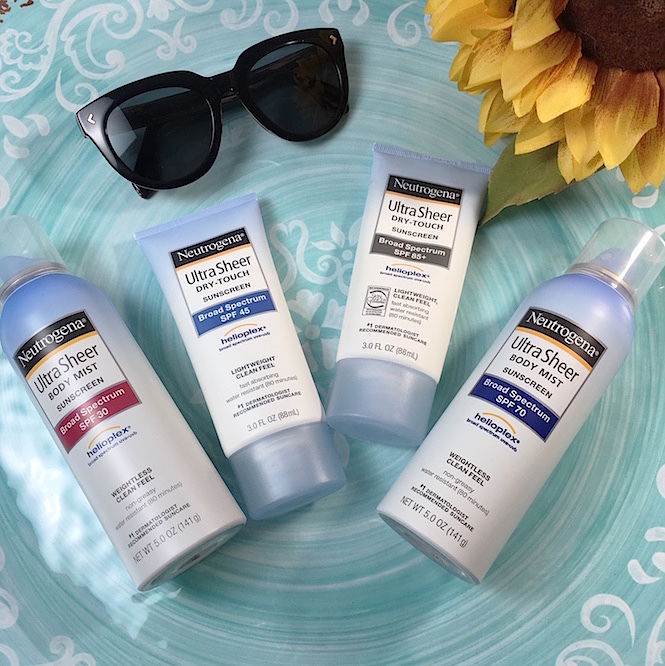 She wears NEUTROGENA® Ultra Sheer® Dry-Touch Sunscreen Broad Spectrum SPF 100+ (one of my favorites, too) and uses NEUTROGENA® Pure & Free® Baby sunscreen on her kids. She stressed the need for reapplying sunscreen throughout the day…every 30 minutes, and for kids, make applying sunscreen into an activity. Her son uses the NEUTROGENA® sunscreen sticks and it’s like a fun painting project. How cute is that? Jaime’s two biggest beauty tips are wearing sunscreen and drinking water. 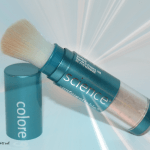 Even though many makeup products have sunscreen in them, Jaime does double duty by applying her sunscreen first, and then applying makeup with SPF on top. 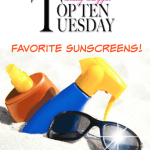 NEUTROGENA® Ultra Sheer Dry Touch Sunscreen is one of my top sunscreen picks for wearing under makeup! Sunscreen prevents fine lines, wrinkles and brown spots and keeps your skin looking great, so it’s part of a good anti-aging strategy, too. This summer, follow Jaime’s advice and lead by example. 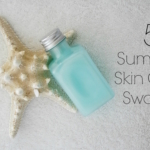 Regardless of the season, weather or where you live, wear your sunscreen every day to stay protected. If you have kids, make sure they see you applying it so that it becomes a daily routine for them. 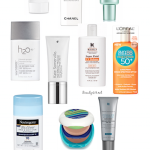 NEUTROGENA® has many sunscreen formulas available; check your local CVS Pharmacy or CVS.com. This post is sponsored by NEUTROGENA® and J&J Skincare. 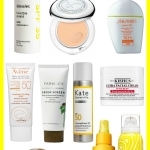 I only recommend products I use personally and believe my readers will also enjoy!